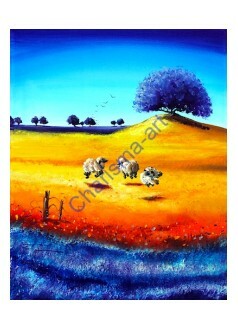 Happiness II - The epitome of happiness are sheep hopping and flopping around in the meadow with glee. 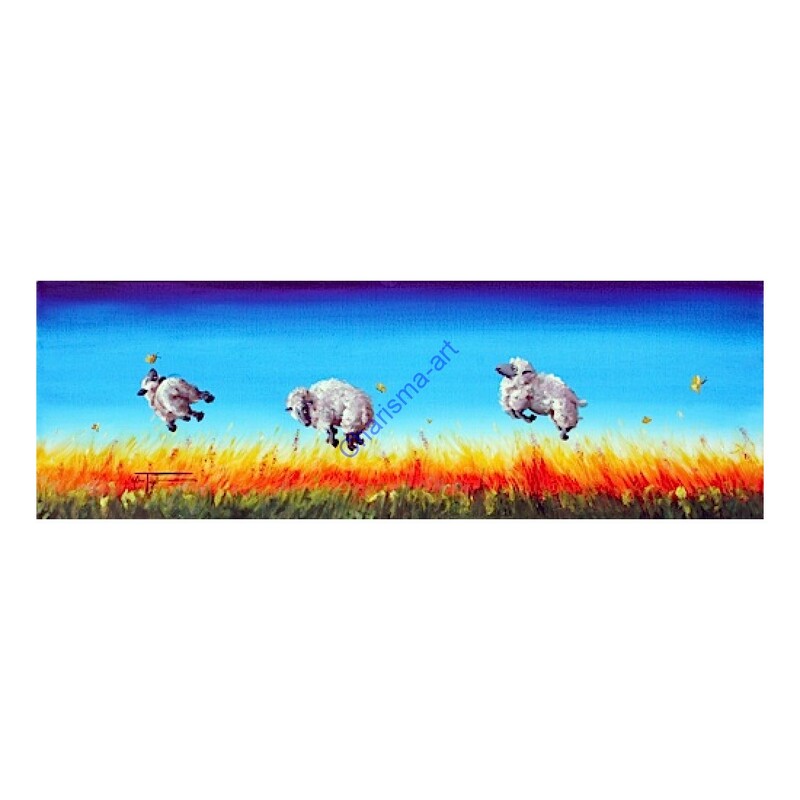 Always my favorite thing to see out in my pasture: the flock kicking up their heels and bouncing like bunnies when I came out there with a bucket of corn, or when they got to leave the barn after being cooped up for a few days. 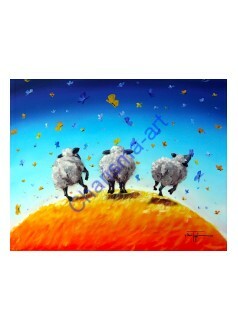 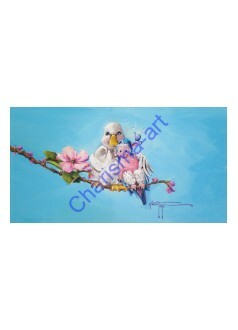 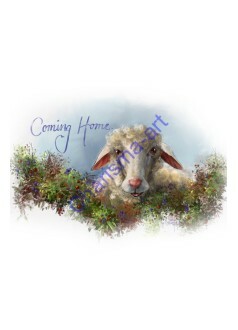 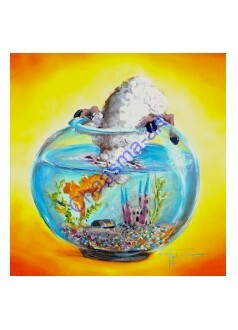 - prints on paper in double mats or as embellished giclée reproductions on canvas. 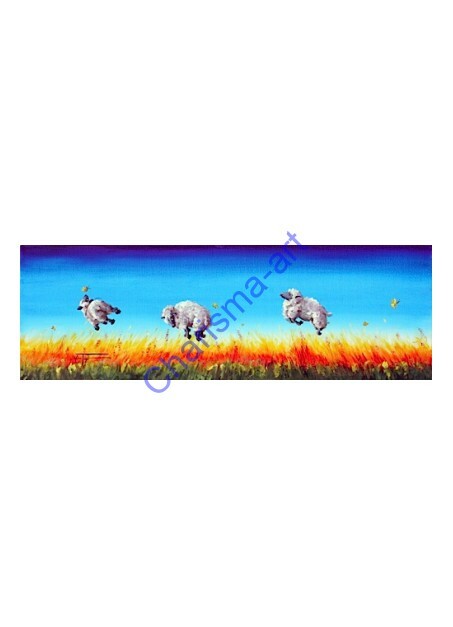 Attention: because the original painting of Happiness II was in a format that does not fit our standard sized mats and frames, we offer canvas prints true to the format of the original painting as giclée prints on canvas only. 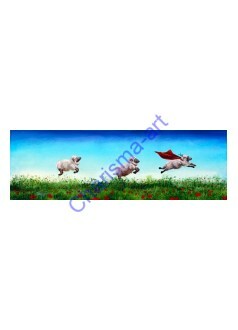 For print sizes that fit our standard sized mats, and standard sized frames, please search the site for "Happiness II (Wide) PRINT" instead.